Ever find yourself dazing off into space at your desk? Those times when you know you have to get stuff done, but you just can’t find the motivation? The answer is yes. We’ve all been there. 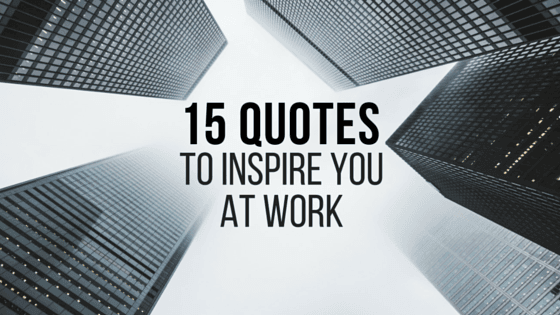 So when it happens, open your eyes, take a shot of espresso, splash some water on your face if you have to, and get inspired by these words of advice from some pretty legendary leaders. We hope these inspire you as much as they inspired us. If we missed one of your favorites, spread the inspo and share it with us on Twitter @moproteam.